In this brief book Allan Hugh Cole explains the process of grief and what loss can do to us, identifies ways of coping, and reminds us of the hope that we can find in mourning. 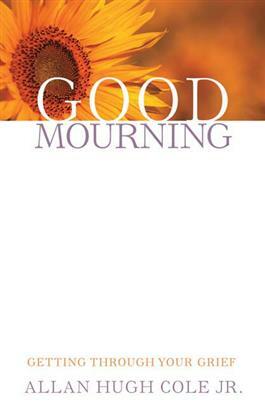 Ultimately, Cole offers a plan of "good mourning"--a way to work through the loss and rebuild life with new strength. Cole describes what it takes to be engaged in good mourning instead of endless suffering and demonstrates how faith and prayer can be practical tools in rebuilding life after loss.